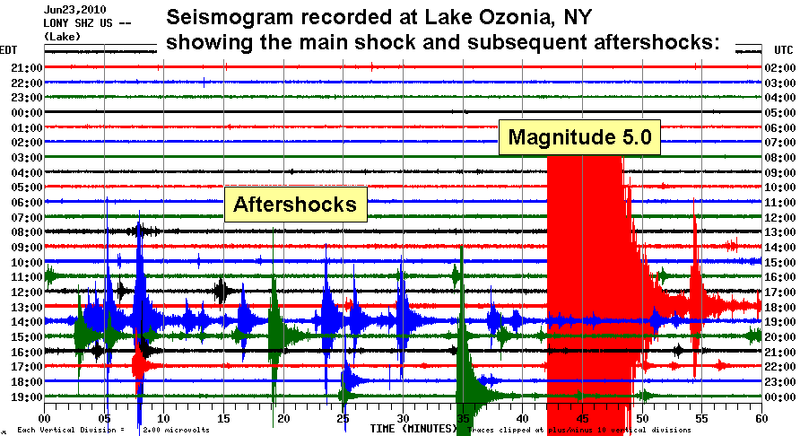 The New England Seismic Network recorded a magnitude 5.0 earthquake from the Ontario-Quebec Border Region on June 23, 2010. 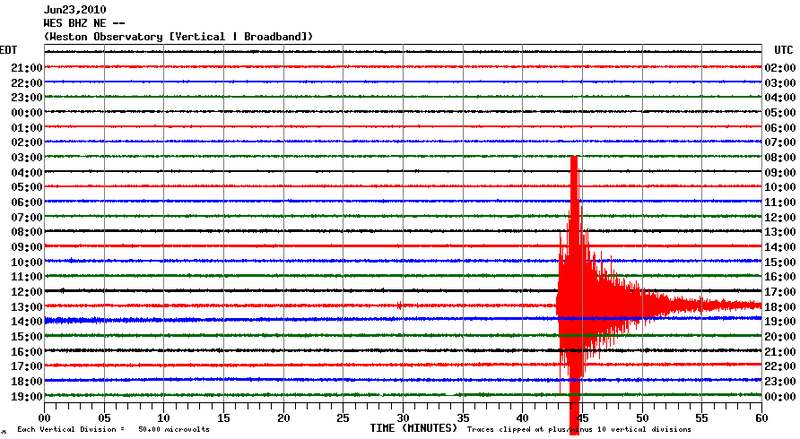 The earthquake was felt throughout New England and neighboring states. If you felt this earthquake please report it here. For a tectonic summary of this quake, click here. For a news article on this earthquake, click here.